We transfer, copy and convert professional broadcast video tapes to DVD and editable File Formats. Broadcast tapes are the superior video and sound tapes to standard tapes. These can be converted to digital file or DVD. Video tapes have been commercially available since 1956 but unfortunately those with open reels are the most prone to deterioration due to their acetate based tape giving a sticky shed syndrone that is very hard to convert. These were typically used in broadcast or studio recordings. We would always suggest to have these converted as soon as possible to prevent further deterioration. High quality broadcast tape conversions to include PAL and NTSC formats. Betacam, Digital Betacam, 3/4 U-Matic, DVPRO and DVCAM transfers. We can offer a variety of storage options from USB, external harddrive and cloud. We can supply external hard drives, USBs and cloud storage facilities. Charges start from 8.00 plus VAT. Betacam SP is a 1/2" video tape used in post production and television broadcasting. Betacam SX is a digital version of the Betacam offered as an alternative more affordable option than Digital Betacam. Digital Betacam is used in broadcasting because of its superior quality and durablility. 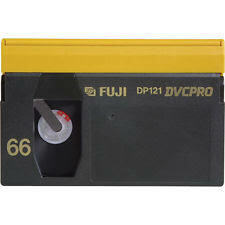 DVCPro is a video tape used for elecronic news equipment. 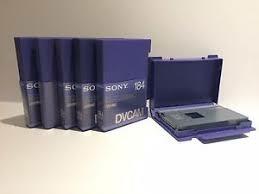 DVCam is SONY's version of digital video tape designed again for electronic news. Umatic is an analogue video cassette by SONY. It was one of the first tape formats that went into a cassette. Broadcast tapes typically have superior video and sound quality to that of a consumer tape. There are a variety of broadcast tapes we can transfer to digital file. We can capture content from Professional Broadcast video tapes and convert it to new digital formats such as ProRes 422, H.264 MOV, H.264 MP4, DVD and Blu-ray Disc. Optional archived backup to our cloud is offered as well. 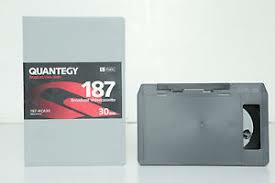 Supported NTSC and PAL tape formats - DVCAM, MiniDV, HDV, Betacam (SP, SX and DigiBeta), Sony IMX, HDCAM, DVCPRO (25/50/100) tapes - U-Matic 3/4", and Sony open reel 1/2" and 1" video tapes.